What is the best XML editor available? The answer depends on your level of programming and the needs of your project. The good news is that there are many good choices available. XML is, at heart, simply a programming methodology. It is a way of organizing information into categories and making it easier for computers to process that information and make it do what you want. This means that any text editor such as Notepad or TextEdit can be used as an XML editor, just as you can use it for a programming environment in the language of your choice. Unfortunately, XML Notepad is only available for Windows. A truly multi-platform editor is jEdit, which in and of itself is simply a text editor. However, it has many plugins, including several for both XML and HTML editing, that turn it into a very user-friendly program for coders. Like NotePad, it is also free, and may be handy to have for other projects. eMacs is another text editor familiar to programmers, which also has an "Nxml" mode that adds several features to the standard interface that you may be familiar with. XMLpad3 has most of the standard features of XML editors as well as the ability to export schema examples. XML Fox uses a multi-view that can show both source code and "tree view" (among others) in an interface similar to Adobe's Dreamweaver. XML Marker is a basic color-coding and multi-view editor that makes a virtue out of its simplicity of use and low-processsor demands. In order to get these features, you may have to shell out some money. Almost all the reviews of XML editors, from the Canadian SNOOK to StackOverFlow, agree that Altova's XMLSpy is one of the best programs out there, except for one thing: the price. However, even the W3C Schools recommend it over any other program, even more fully-featured ones like Dreamweaver. XMLSpy can be downloaded by itself or as part of Altova's MissionKit suite of products. Both are also available in 64-bit versions and come with 30-day free trials. Another premium editor that comes with a free trial is the oXygen XML editor. This company includes many different products for editing, including Schema Editor, an "Author" version, and an XML Diff version for comparing and combining two or more XML documents. Liquid XML's list of features echoes the recommendations of the W3C, and it also comes in three different editions: Starter, Designer, and Developer. This keeps you from paying for features that you may never use, so that you can focus on code rather than trying to figure out a complex interface. 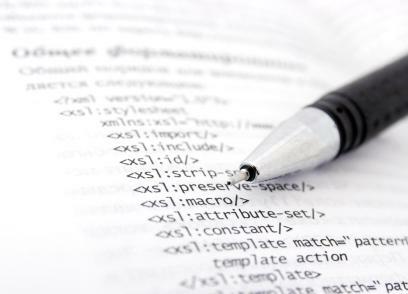 XML has become an essential tool for contemporary web development. Picking the best XML editor can make generating and editing XML a more efficient and enjoyable process no matter if it's your first node or an enterprise-level schema.